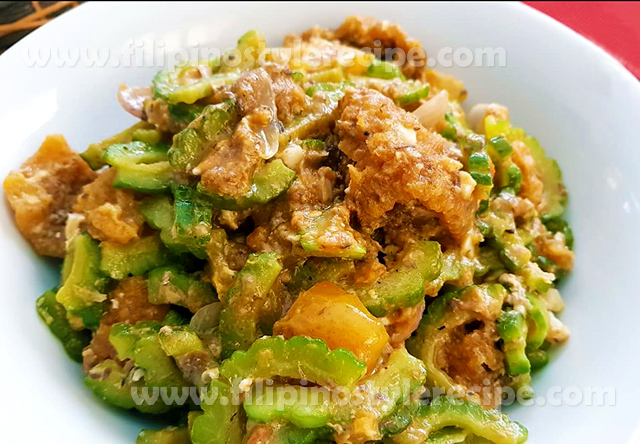 Filipino Style Recipe: Pinakbet or Pakbet with Chicharon (crispy pork rind) is a tasty vegetable dish consisting of different fresh vegetables, pork, and shrimp paste. 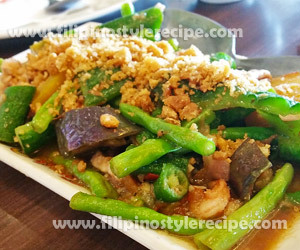 One of my favorite when it comes to vegetables dishes as long as not overcooked. 9. Transfer to serving plate then sprinkle with crushed chicharon. Serve with rice. Share and Enjoy!